1931 St. Frideswide's School opened, for boys and girls. 1936 When St Birinus School was opened, St. Frideswide's School split: boys to St Birinus and girls remained at St Frideswide's School. All the girls and boys who passed the 11+ examination went to Wallingford Grammar School. 1958 In September 1958, Didcot Girls' Grammar School was opened in newly built premises, now known as the Cockcroft Building. All the girls who were attending Wallingford School were transferred to Didcot Girls' Grammar School. Wallingford Grammar School kept the boys. Miss J E Holloway was appointed Headteacher. One of the pupils who was transferred from Wallingford School was Ann Packer - the athlete who won a Gold Medal in the Tokyo Olympics of 1964. St. Frideswide's School was the Secondary Modern School. The Headteacher was Miss E. M Lardner. The Grammar School girls wore a royal blue uniform - including a small hat - which had to be worn at all times when they were out of school and wearing school uniform. The St. Frideswide's School girls wore a green uniform. 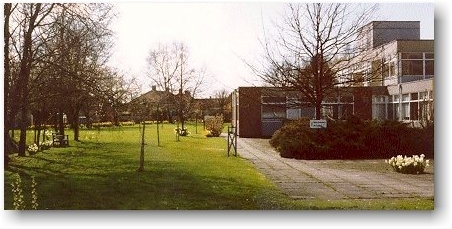 1973 Didcot Girls' Grammar School and St. Frideswide's Secondary Modern School were amalgamated to form the new Didcot Girls' School (Comprehensive). Miss Holloway was appointed Headteacher with Miss Lardner, Associate Head. The New Building (now called Sherwood Building) was built in 1972 and was ready for occupation when the schools amalgamated. 1976 Miss Holloway retired (and died in December 1997). Miss Lardner was appointed Headteacher in 1976. 1981 Mrs Jenny Cottee was appointed Headteacher. 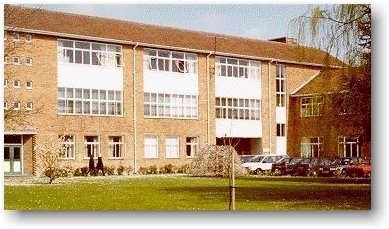 1985 Didcot Sixth Form created by amalgamation with St. Birinus' School. School's first network computer room installed in N7. 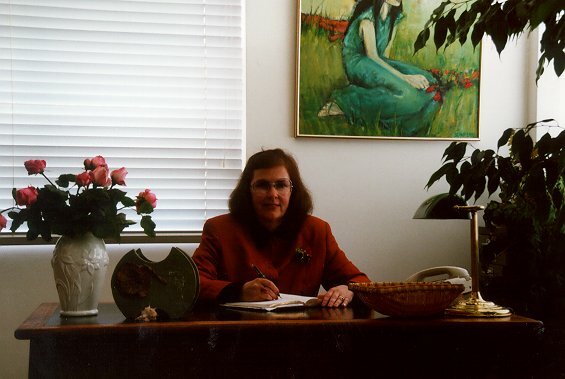 Mrs Jeannette Hebbert was appointed Headteacher. 1996 Didcot Girls' School goes online with its first website. 1997 Didcot Girls' School was awarded Language College status. Whole-school computer network created, linking all main buildings. 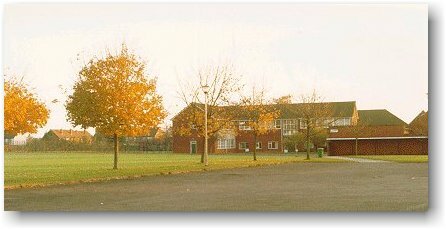 2002 Didcot Girls' School became a Beacon School. 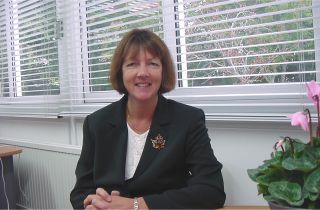 Mrs Paula Taylor-Moore was appointed Headteacher. 2006 Applied Learning College status awarded. New sports hall built at the back of St Frideswides Building. 2007 The new Austen Building completed - opposite Sherwood Road gate - a new home for the English Department. 2008 Mathematics and Computing status awarded. 2009 Mr Fernand Dierckens was appointed as acting Headteacher. 2010 Mrs Rachael Warwick was appointed Headteacher. 2011 New school website created. I retired at the end of this year. The School crest was designed by Ron Freeborn, Head of Art in the Grammar School and then for many years in the Comprehensive School. The lightning flash represents Science in the locality, and the crown is that of St. Frideswide. Before it was digitised I created the simplified logo you see at the top of this page, which still appears today on the new website.